It’s here! 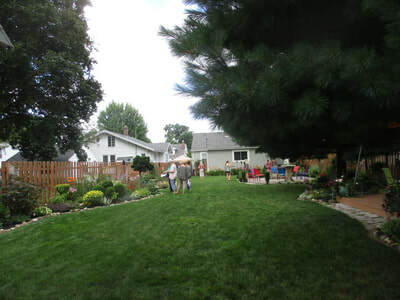 Mark your calendars for the Findlay Garden Club’s 2017 Garden Tour on Saturday, July 15 from 10 a.m. to 5 p.m. and Sunday, July 16 from 1-5 p.m. Pick up maps for this self-guided tour at Feasel’s, Brinkman’s, Garden Central, Plant Peddler or 50North. There are eleven gardens on the tour this year. Six are in central Findlay, two on the east side and two on the north side. They represent a variety of small and large gardens where the designs have been done by the gardeners themselves. John and Kristen Hunter offer an encore tour at 723 Center St. The couple were honored by the Ohio Association of Garden Clubs as the 2017 Gardeners of the Year. Since last year’s tour they have designed a new front garden, including a Blue Moss Cypress specimen tree. 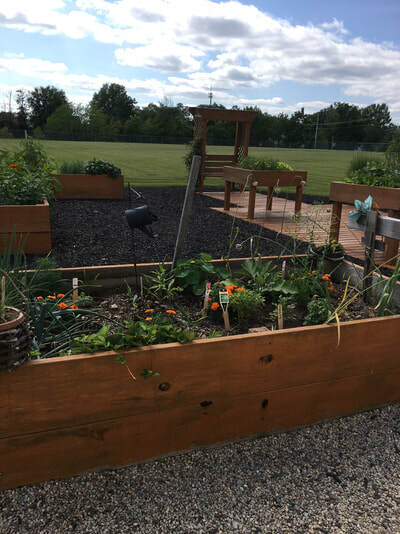 By providing housing for birds, bats, bees and butterflies their garden has been designated a Certified Wildlife Habitat. Don’t miss their new herb garden display in the vegetable garden, and the many unusual plants they’ve collected in their travels. ​Randy and Becky Greeno at 824 S. Cory St. were on the tour in 2010. Master Gardener Randy, being water conscious, still maintains a water garden in the front yard that exists on rain water from a downspout. The other gardens on the property also are watered by two large rain barrels. The property is full of annuals and perennials such as succulents, irises, daylilies, shrubs and trees, including a stunning Tricolor Beech. Other features to note are a Koi pond, deck, and garden art that includes architectural salvage pieces. 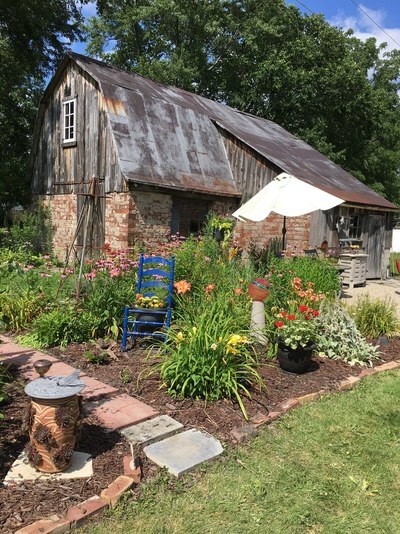 Deborah Hothem Bunn Stall at 412 Baldwin Ave. has many interesting and unusual features in her garden such as a watering can wall, bricks that have been collected from various places in Findlay or from travels, five original Carruth garden sculptures, a fountain, and a bottle tree. 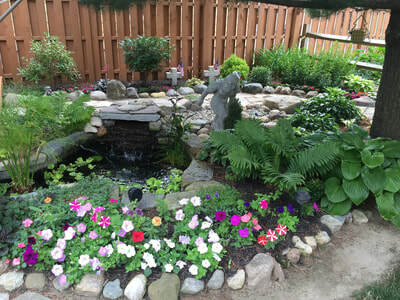 Plantings include both perennials and annuals, a black lace elderberry, reblooming Immortality Iris, vines of many kinds, and the unusual Arum Lords and Ladies plant given to Deborah by her Uncle Charles Applegate, a horticulturist at Kingwood Center, Mansfield. 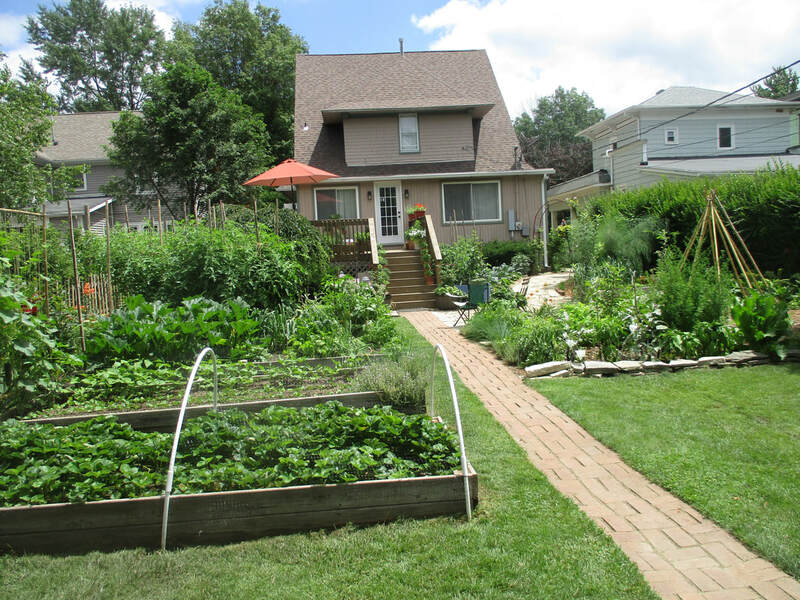 Larry and Cheryl Breed at 840 Washington Ave. recently renovated their back garden to include raised beds to control soil quality. Organic gardening practices are a major goal with the use of compost piles including worm compost, and a rain barrel. All vegetables and most herbs and flowers are grown from seed. The herbs include both culinary and medicinal plants. By using succession plantings, a cold frame, and row covers, the Breeds garden virtually year-round. The garden is bird, butterfly, and wildlife friendly. Richard and Robin Hopkins at 1214 Hurd Ave. include 40-50 varieties of daylilies and a large selection of hostas in their garden. The 13-year-old garden has a number of ornamental trees including a smoke tree, variegated willow, and magnolias. There are five types of water features, much statuary and even a small chicken coop. 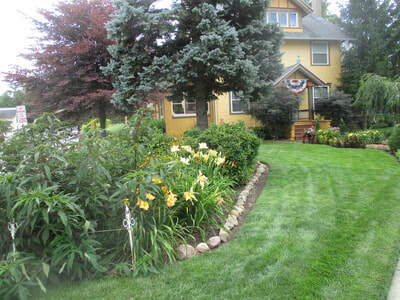 The backyard is completely bordered in both annuals and perennials. In the front of the house, well-trimmed bushes lead to a beautiful front porch sitting area. Greg Baker’s front garden at 1131 S. Blanchard St. borders the entire front of the house. Greg has been interested in gardening since childhood and the garden is approximately 40 years old. 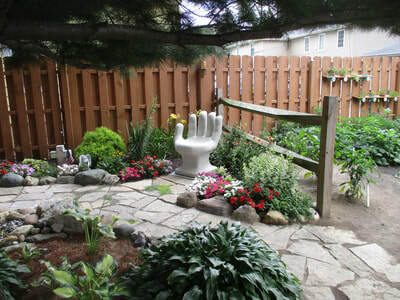 This jam-packed city garden boasts many varieties of plants including contorted filbert, dwarf conifers, weigela, spirea, roses, and Japanese maples. Stationary water features are scattered throughout these and among perennials such as lilies, lamb’s ear and peonies. A private deck at the rear of the house features large pots of flowers, Greg’s favorite being the large geranium. On the east side of Findlay are three very different tour gardens. Clint and Peggy Baker at 2001 Eastview Dr. were on the 2013 tour and, as with all gardeners, have made some changes since then. Still integrated into the back garden is a classy chicken coop with 18 beautiful chickens. New is a duck coop with two ducks! The Baker’s favorite flower is the hibiscus but they are also fond of annuals, growing them in more than 90 pots. The small but charming garden has room for a small pond, two rain barrels for watering, and a vegetable plot. Becky Stahl at 514 Cranberry East in Hunter’s Creek has ornaments and yard art sprinkled throughout her garden. Many creative bird feeders are made out of bottles, and throughout the garden are Becky’s favorite ornaments, frogs and toadstools. Don’t miss the lobster trap and an old tiller. Plants include milkweed to attract butterflies, sedums, blue spruce, and tall ornamental grasses separating the patio from the back garden. In all, about 50 varieties of perennials adorn the gardens. On a front corner of the house notice the Alberta Spruce Becky has trained into balls. Lovely front beds circle a birch tree and the curbside mailbox. 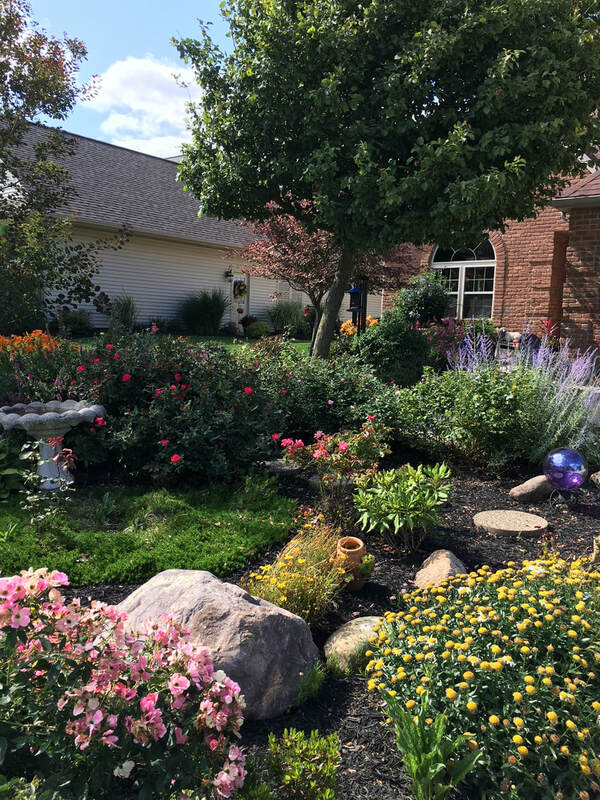 Debbie Longbrake’s house at 1930 Palmer Dr. in Hunter’s Crossing is distinguished by a giant flower pot of petunias out front. The yard was bare when Debbie started her gardens that now include 30 types of roses (some gifts), low maintenance perennials, a vegetable garden, strawberries, rhubarb and two Tricolor Beech trees. Garden art includes a dog sculpture that was passed down from Debbie’s mother. Real creatures also are welcomed, including Sophie, a black Cocker Spaniel, a bat named Rosie, and birds attracted to the many birdfeeders and birdbaths. Don’t miss the custom shed, deck and front patio. On the north side of Findlay find Dave and Cheryl Sharninghouse’s garden at 323 Mona Lane. The back yard is dominated by a large plot fronting a substantial old stone barn. 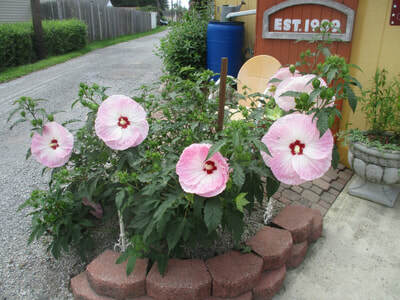 All types of flowers, shrubs, and vegetables grow there. The Beattys tried to pattern their garden after the original one designed by Francis Sharninghouse. After Francis died, the garden had fallen into disuse with overgrown weeds. In this disheveled garden many flowers still survived such as daylilies, coneflowers, crape myrtle, Black-eyed Susan, and Lily of the Valley. These inspired the Beattys to restore the garden adding red hot poker, clematis, Bloody Cransbill, lilacs, sedum, and lavender, among other plants. Finally, don’t miss the 50 North raised bed community garden at 339 E. Melrose Ave. (beyond the West parking lot). The gardens are supervised by Volunteer Coordinator Julie Niswander and they serve seniors 50 and older. 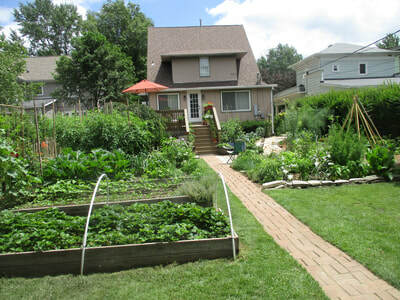 Many gardeners have downsized to smaller homes and don’t have the space to garden, so community gardens are an answer. Three of the 50 North raised beds are high enough to serve the handicapped and ten more are raised ground beds. Plots contain vegetables, flowers, and herbs, usually mingled together, and little ornaments adorn some of the gardens. Watering containers store water from the roof of an adjacent building. 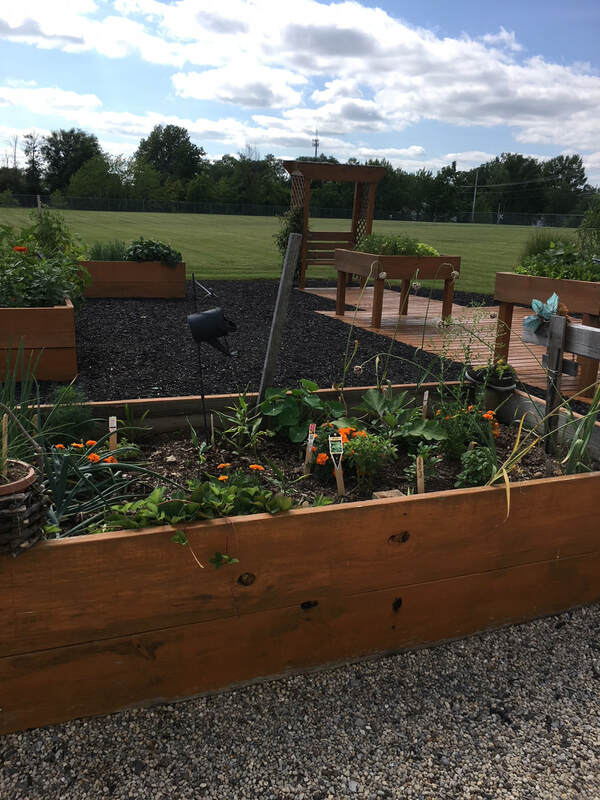 Gardeners harvest and use their own produce, but the 50 North kitchen gratefully receives fresh vegetables to add to meals. For more information contact Doris Salis at 419-422-3560 or salis@findlay.edu.